You must be a member of the Zurich Art & Art Lovers Group to attend this activity. Would you like to join this group? 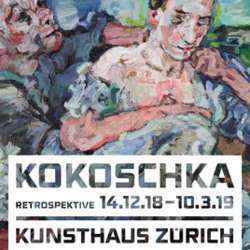 Finally an interesting exhibition again at Protected content The first retrospective of Oskar Kokoschka's work in Switzerland for 30 years – Expressionist, migrant and pacifist. Along with Francis Picabia and Pablo Picasso Oskar Kokoschka Protected content is one of a generation of artists who retained their allegiance to figurative painting after the Second World War, even as abstract art was consolidating its predominance. A great exhibition well worth to visit. After the exhibition we will meet for a drink at Le Philosophe, a cosy nearby bar and have time for a nice chat.